The company SPECPRICEP welcomes you to our website! Here you can find information about our company and its products. We specialize in engineering, manufacturing and sale of semi-trailers in various regions of Russia: Moscow, Saint-Petersburg, Yekaterinburg, Kazan, Tver, Rostov, Tyumen and other regions of Russia. We manufacture semi-trailers of European quality for operation in Russian conditions. Below you can find the trailers with reduced manufacturing time and some models available. Create your own trailer with "SPECPRICEP"
SPECPRICEP maintains an exclusively individual approach to its customers. Such customer focus allows us to successfully engineer and manufacture equipment to satisfy the most specific expectations and demands of our customers. Clients who choose SPECPRICEP can expect high-quality solutions for the most complications transportation issues for a reasonable price. 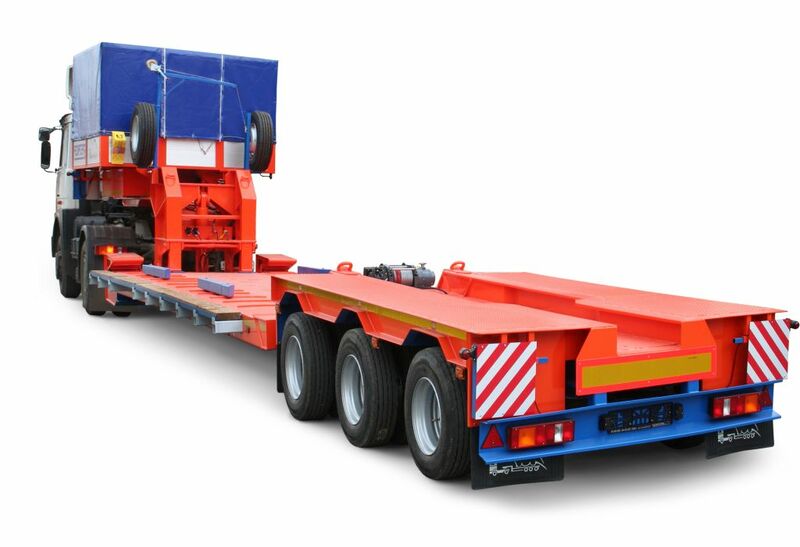 If you are not sure about these words, take a look at our semi-trailers line and their characteristics. Upon the request, you may always receive feedback from other customers and make sure that the high quality that we guarantee is not just words—it is a fact that our clients confirm every day. We are devoted to our customers and do not want them to have any difficulties with using our equipment. The annual growth of semi-trailer sales and the company’s expanding client base is a great indicator for the fact that our strategy is correct and the manufactured equipment is in demand in the market. The minimal price level for our semi-trailers depending on the model and package is approximately 1300 thousand rubles. The optimal ratio of price and quality of our equipment allows us to maintain a very high demand. New semi-trailers and trailers are developed by highly-qualified professionals using up-to-date computer programs and equipment. We pay special attention to quality control. The product line of SPECPRICEP undergoes serious tests that involve increased loading on road surfaces of different difficulty levels. If any units or compomemts in the equipment break, it will not cause any problems for our customers as the spare parts prices for semi-trailers and low bed semi-trailers are significantly lower than the prices for similar European equipment. The availability of spare parts at our storehouses is not a problem as well. It is very important because it will help clients to save much money and time. In order to become familiar with the catalogue of our products, go to the website menu in the left. In the lower part you can see popular models of modern trailers that are classified according to the load carrying capacity. We apply technically reasonable and integrated approach to engineering of each model. We use high-quality steel and components in production. We use components that are made not only by Russian manufacturers of trailer parts but also the components that are manufactured by famous international companies such as Gigant, SAF, BPW, Michelin, JOST, Kormoran, etc. As the result, the company’s products have great characteristics that allow users to solve the most challenging transportation problems even without having good roads or during significant temperature drops. Such qualities put the products of the company SPECPRICEP on the high international level. However, you can be sure not only in the high durability and operating life of our trailers and semi-trailers but also in the fact that the offered equipment is simple, easy-to-use and has high values of controllability and maneuverability. 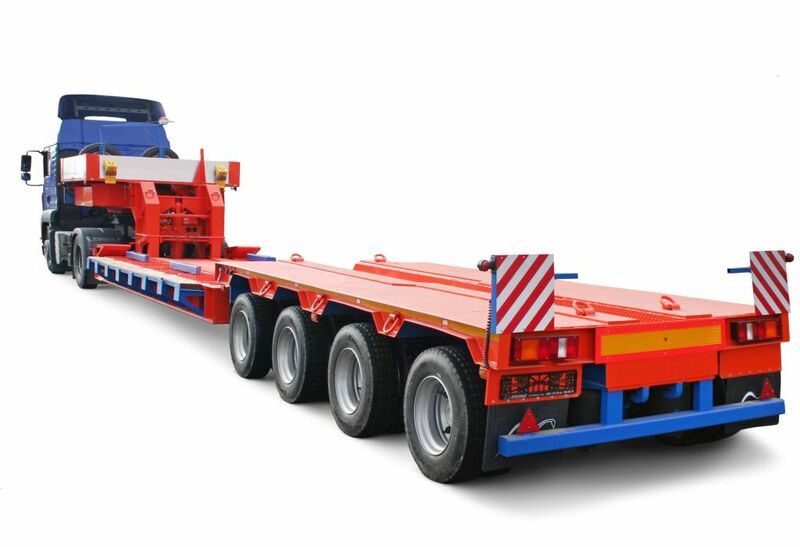 Further information of different types of semi-trailers. Semi-trailers of the company SPECPRICEP have become a winner at specialized Russian (“Construction Engineering and Technologies,” “Roads, Bridges, and Tunnels,” etc.) and international exhibitions (“Special Needs Transportation,” “Oil and Gas,” etc). 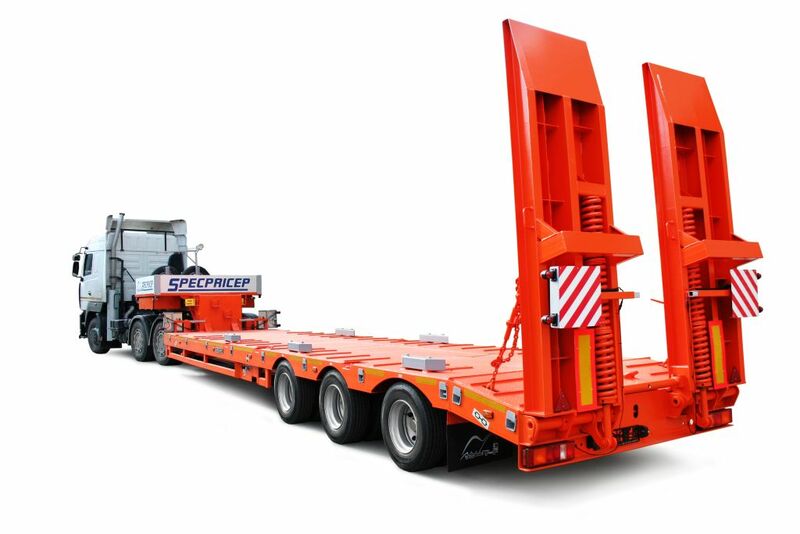 The high quality and technical indicators of modern specialized semi-trailers of the company SPECPRICEP have earned popularity and recognition from Russian and foreign users. Are you interested in buying a semi-trailer? You can preorder, clarify characteristics, and learn more about availability and prices for semi-trailers by calling the following phone numbers below for different regions of Russia: Moscow, Saint-Petersburg, Yekaterinburg, Kazan, Tver, Rostov, Tyumen, and other regions of Russia. In order to learn more about the assembling, factory equipment and blank production read the article on the semi-trailers factory. You can find the full contact information in the corresponding section.